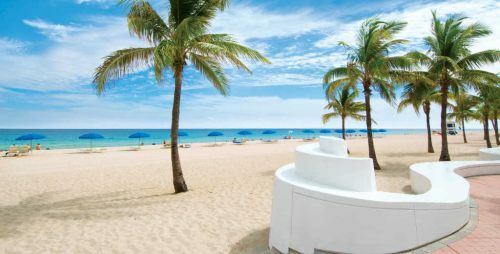 Air Transat has dropped the price of their late 2018 and early 2019 flights from Montreal to Fort Lauderdale, Florida down to $247 CAD roundtrip including taxes. Feb 1 to Feb 15 -- new! 2. On Priceline, the price will show up as $197 USD. Priceline is *always* in $USD. This will work out to $245 CAD roundtrip when booked with a Canadian credit card, and factoring in the typical credit card foreign exchange fee. offers completely free cancellation within 24 hours of booking, give you a bit of time to decide. Update 4/15 - Air Transat has dropped the price of a few of their late March and April 2019 flights from Montreal to Fort Lauderdale down to $251 CAD roundtrip including taxes. 2. On Priceline, the price will show up as $197 USD roundtrip including taxes. Priceline is *always* in $USD. This will work out to $251 CAD roundtrip when booked using a Canadian credit card, and including the typical 2.5% credit card foreign exchange fee.